We all know that images are worth a thousand words, but to content publishers, infographics are worth higher engagement rates. In fact, infographics can help publishers reformat content in a unique way that captures both audience members’ and industry professionals’ attention, which can result in higher traffic numbers, an increase in time spent on site amongst visitors, more social shares and even an influx of inbound links from sites across the Web. However, creating a quality infographic is typically a time consuming and complicated task. Not only does the publisher need to determine a subject and collect the appropriate supporting data, but they also need the assistance of a designer for the creative and construction process, which takes valuable time and resources. Easel.ly – This theme based Web app, which is still in beta, helps Web workers create infographics and data visualizations at no cost. Users simply need to drag a theme to the canvas, add new art if desired and then edit and customize any object on the canvas. 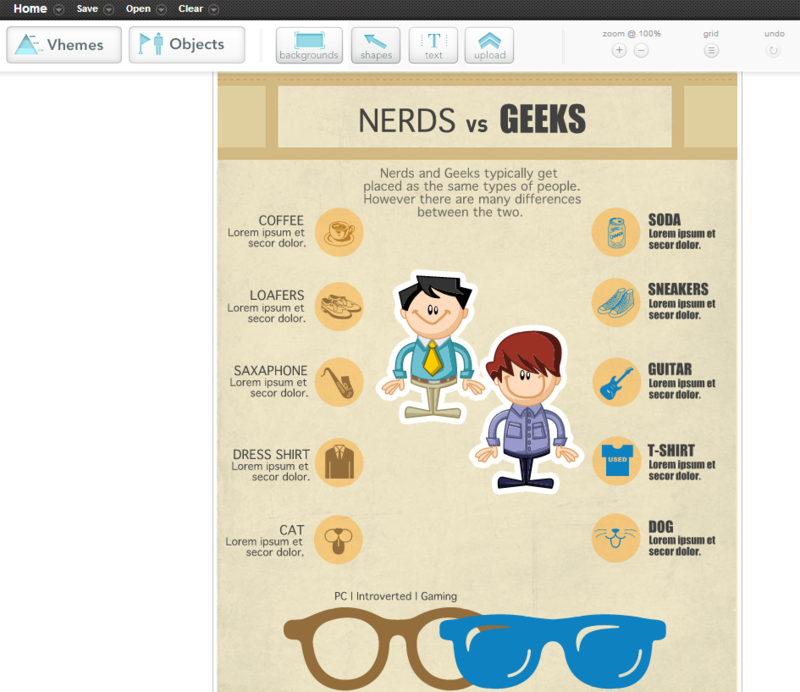 Additionally, users can create an infographic that fits a portrait, landscape or mobile format. Once the data-filled image is complete, users can share it via an embed link or Web link. Infogr.am – This free infographic creator, which is also in beta, enables users to build interactive infographics and charts with just a few clicks, and then allows them to share the images in articles, blog posts or on social networks. Users can add data and videos to their infographic, as well as have the ability to create interactive maps. Currently, Infogr.am users have published more than 200,000 inforgraphics with this platform. Piktochart – Depending on your content publishing needs, Piktochart offers three different infographic solutions, which range in price from free to an annual charge of $169. Some of the company’s pro clients include Red Bull, Marriott and Forrester. The solution's themes and drag-and-drop functionality enables users to create infographics quickly and then export them as images that can be embedded into presentations and websites. It is also important to note that according to the company's website, Piktochart infographics are search engine friendly. Furthermore, the platform is expected to launch additional interactive features soon and will also provide publishers with data about who is reading their infographics.